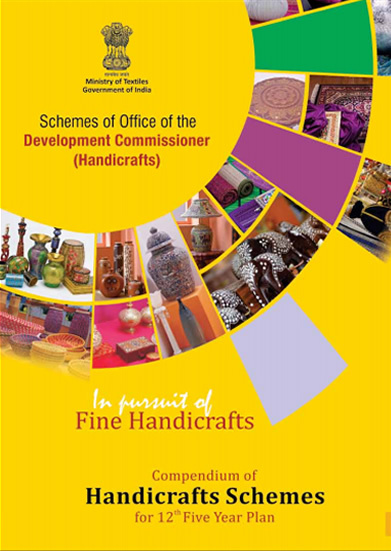 Handicrafts constitute an important segment of the de-centralized/unorganized sector of our economy. It is mainly a rural based sector which has its reach in backward and in-accessible areas. Originally, handicraft started as a part time activity in the rural areas, however it has now transformed into a flourishing economic activity due to significant market demand over the years. Handicrafts have big potential as they hold the key for sustaining not only the existing set of millions of artisans, but also for increasingly large number of new entrants in the crafts activity. Presently, handicraft sector is contributing substantially towards employment generation and exports but this sector has suffered due to its unorganized nature along with additional constraints like lack of education, capital, and poor exposure to new technologies, absence of market intelligence and poor institutional framework.